A searing dystopian vision of a young boy's flight through an unnamed, savaged country, searching for sanctuary and redemption—a debut novel from one of Europe's bestselling literary stars. Out in the Open tells the story of this journey through a drought-stricken country ruled by violence. A world where names and dates don’t matter, where morals have drained away with the water. In this landscape the boy—not yet a lost cause—has the chance to choose hope and bravery, or to live forever mired in the cycle of violence in which he was raised. Carrasco has masterfully created a high stakes world, a dystopian tale of life and death, right and wrong, terror and salvation. Jesús Carrasco was born in Badajoz, Spain, and now lives in Edinburgh, Scotland. 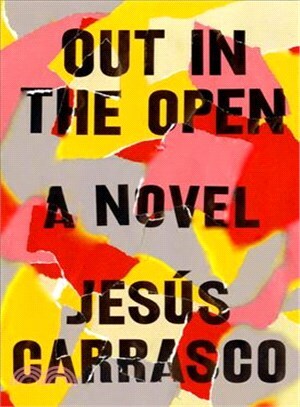 Out in the Open, his debut novel, was a huge bestseller in Spain, published in more than twenty-one countries, and is the winner of many international awards, including the European Union Prize for Literature 2016 and an English PEN award. Margaret Jull Costa has been translating Spanish, Portuguese, and Latin American fiction for more than twenty years, including authors like Javier Marías.